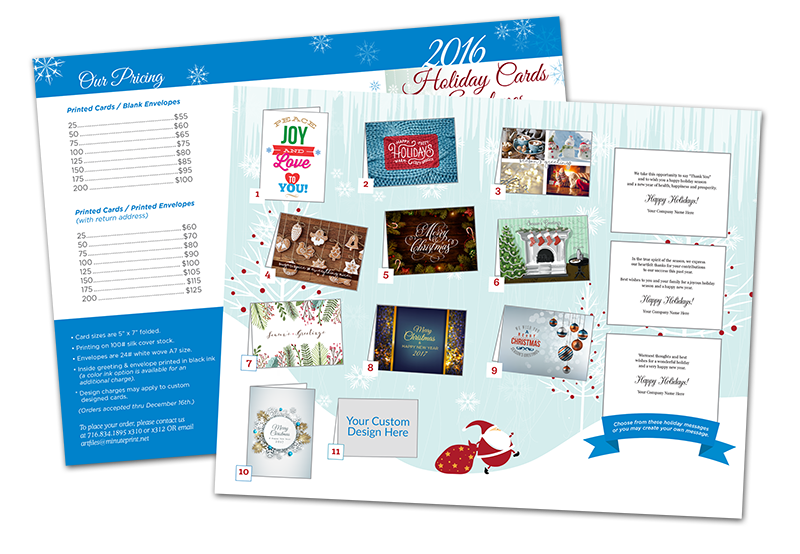 Order your Holiday Greeting cards now... and avoid the rush. We take this opportunity to say “Thank You” and to wish you a happy holiday season and a new year of health, happiness and prosperity. Happy Holidays! In the true spirit of the season, we express our heartfelt thanks for your contributions to our success this past year. Best wishes to you and your family for a joyous holiday season and a happy new year. Happy Holidays! Warmest thoughts and best wishes for a wonderful holiday and a very happy new year. Happy Holidays!